A LAKE District holiday park is giving people the opportunity to own a brand new holiday home on the shores of Lake Windermere with an exclusive prize worth more than £40,000. There is less than a month left to enter the competition, which will see the winner pick up the keys to their very own two-bed caravan on the five-star Fallbarrow Park in Bowness-on-Windermere, where they can count Dragon's Den star Duncan Bannatyne as one of their new neighbours. The winner will be able to take advantage of all of Fallbarrow Park's facilities such as the bar, restaurant and modern delicatessen as well as the leisure facilities including gym, indoor heated swimming pool and sauna at nearby sister park, White Cross Bay in Windermere. As an added incentive, the entire first year running costs including site fees, local rates, utility costs, and insurance will be paid by the park from March 1 2014 to January 14 2015. 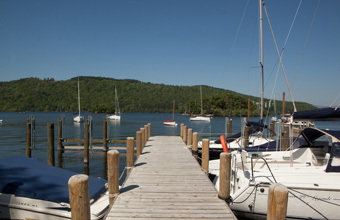 The competition can be entered by visiting the reception areas of any of South Lakeland Parks' three Lake District parks, online at http://www.slparks.co.uk/competition or by liking and sharing the competition post on facebook at https://www.facebook.com/fallbarrow. Competition closes on Monday 30th September 2013.